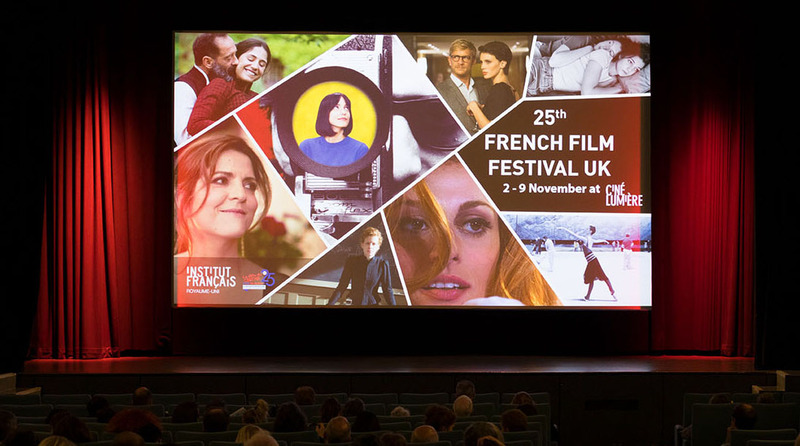 UP AND RUNNING: French Film Festival UK opened its silver jubilee 25th edition at Ciné Lumière in London last night (02 Nov) with packed screenings of François Ozon’s L’amant double and Nicholas Silhol’s Corporate and continues tonight (03 Nov) with a personal appearance of Agnès Jaoui for Aurora accompanied by director Blandine Lenoir. 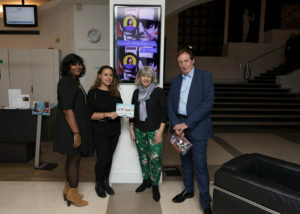 Opening night attendees included representatives of So French TV, a first-time Festival sponsor, Shira Macleod, director of Regent Street Cinema (the Festival’s second London venue) and select journalists. 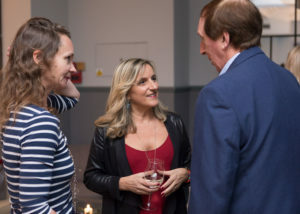 Wine for the opening reception in Aubaine café-bar was provided by Sud de France. 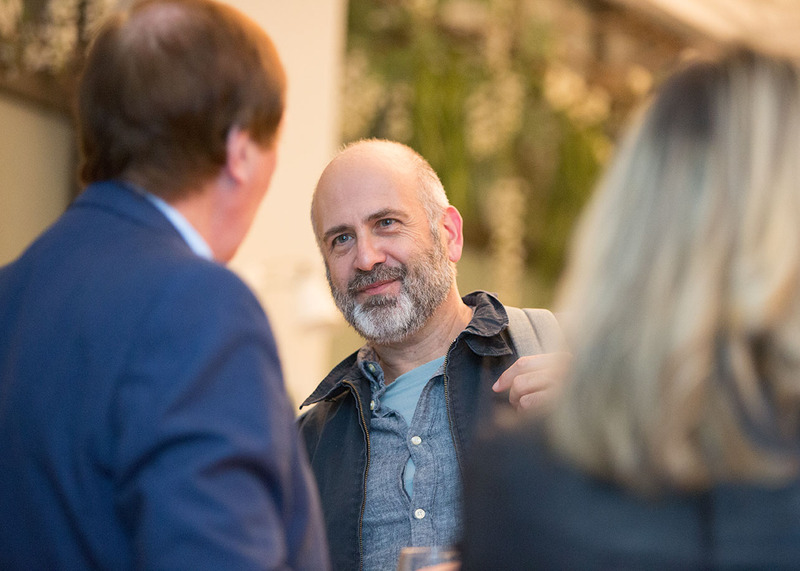 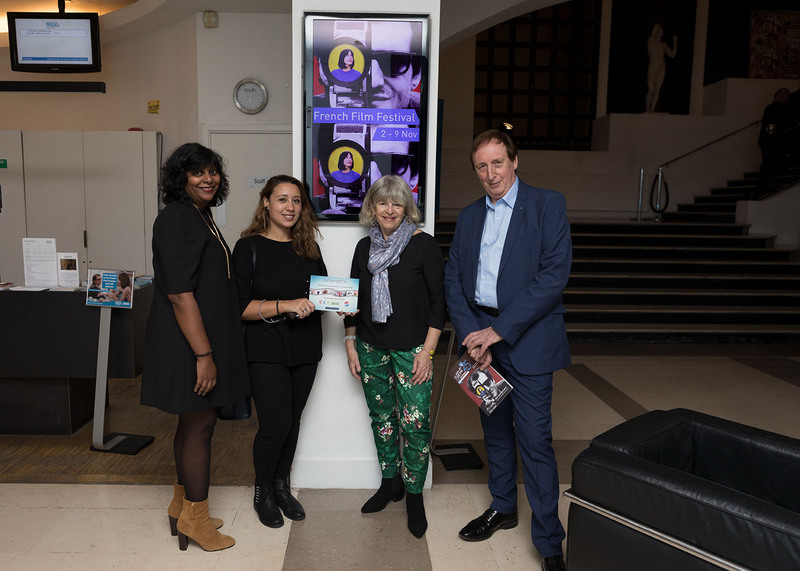 The Festival continues until 09 November in South Kensington and then moves to Regent Street Cinema from 04 to 10 December. 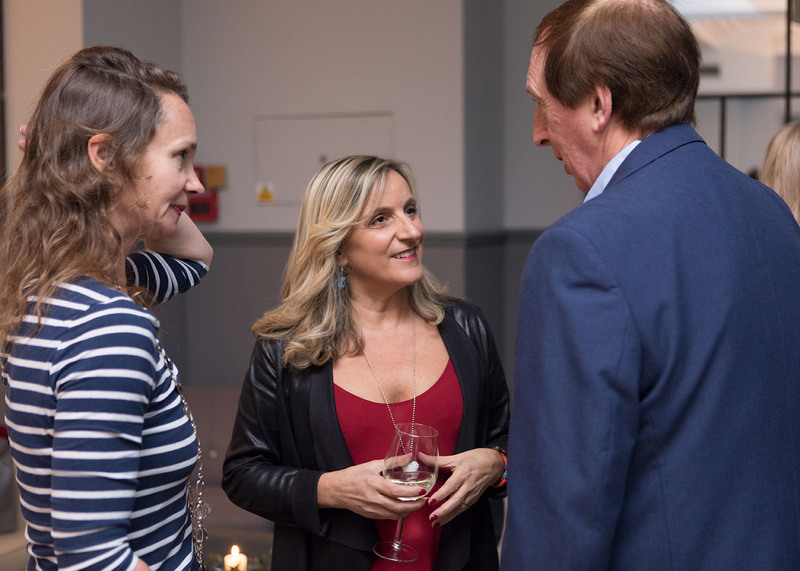 Other guests included invitees from long-time sponsor Air France. 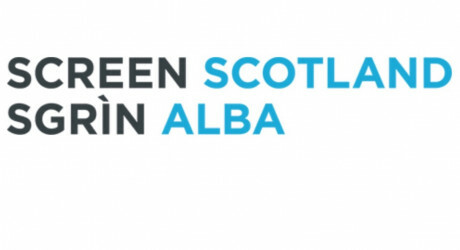 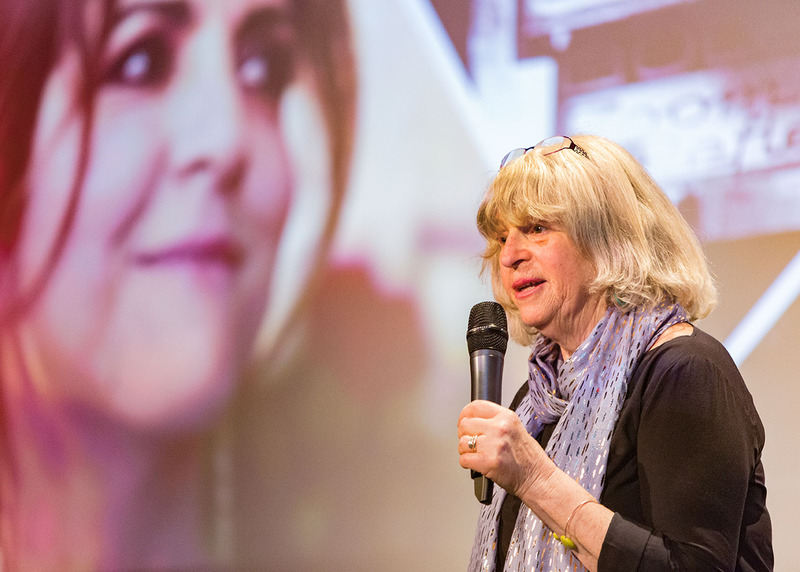 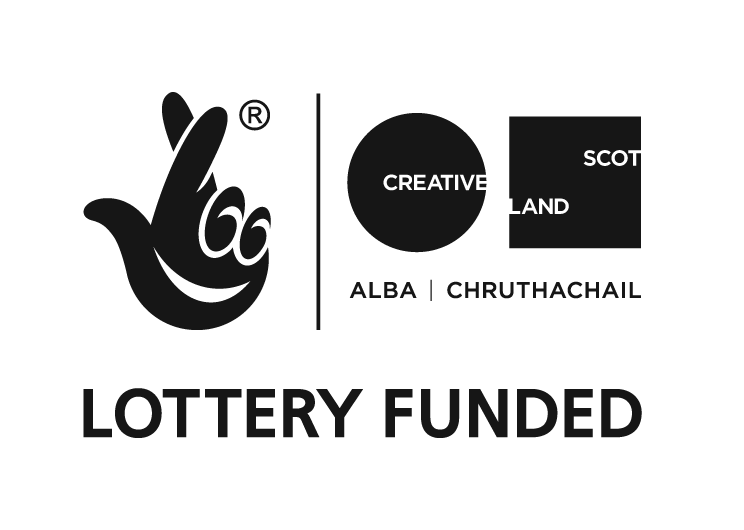 Jaoui and Blandine travel to Edinburgh tomorrow for a special preview of Aurora at Filmhouse with Lenoir remaining in Scotland for the screening of the film at Glasgow Film Theatre on Sunday. 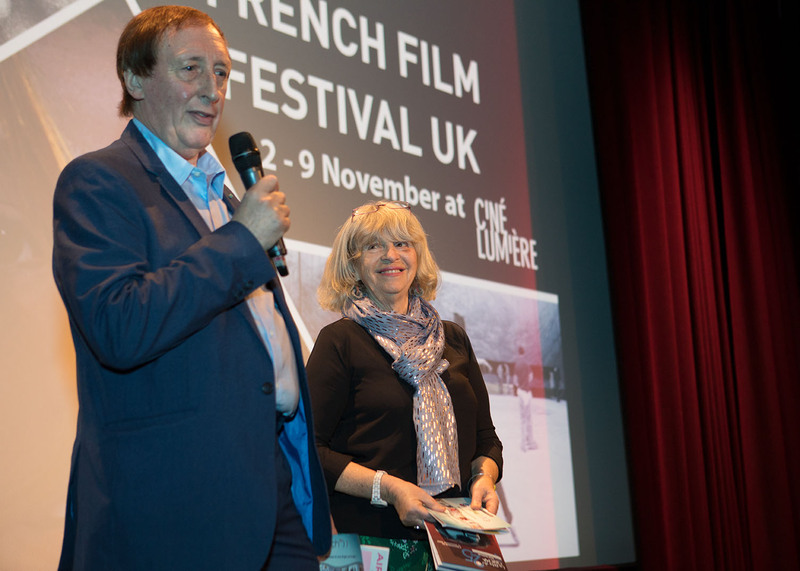 Up and running: FFF organisers Richard Mowe and Ilona Morison at Institut Français du Royaume-Uni last night for the opening of French Film Festival UK 2017 withpacked screenings of François Ozon’s L’amant double and Nicholas Silhol’s Corporate. 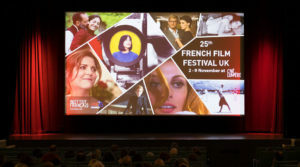 On screen: French Film Festival UK at the Ciné Lumière, London. 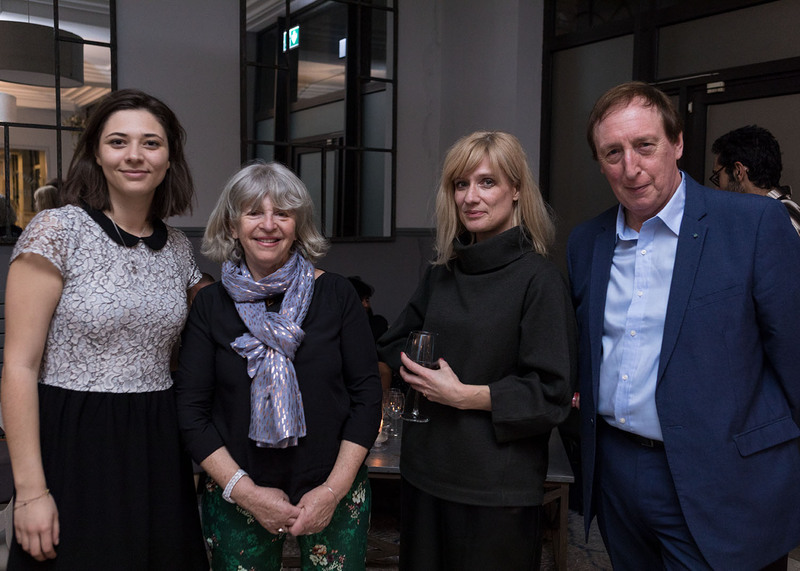 Katia Babilonne and Fatima Chater with Ilona Morison and Richard Mowe, FFF organisers. Team Ciné Lumière at the opening of the French Film Festival UK: (left) Laura Perrachon, programmer, and Natacha Antolini, Head of Marketing and PR (third left) with Ilona Morison and Richard Mowe. 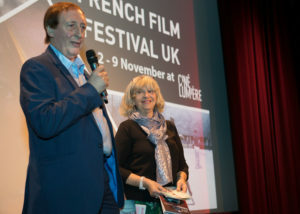 at the opening of the French Film Festival UK at Ciné Lumière last night (02 November). 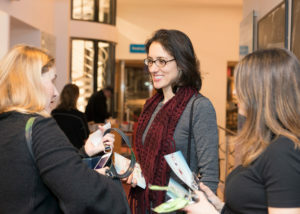 First night cinema goers receive information about first-time French Film Festival sponsors So French at the Ciné Lumière, London. FFF director Richard Mowe talks to journalist Demetrios Matteo at the opening of the French Film Festival at the Ciné Lumière.